Remember that nursery rhyme? “Rub a dub, dub…..three men in a tub…..” ??? Well the “tub” I’m about to talk about is far from that kind of tub – it’s a beautiful and wonderful home afloat for one of my best buddies and his two devoted humans. Who’s the buddy? 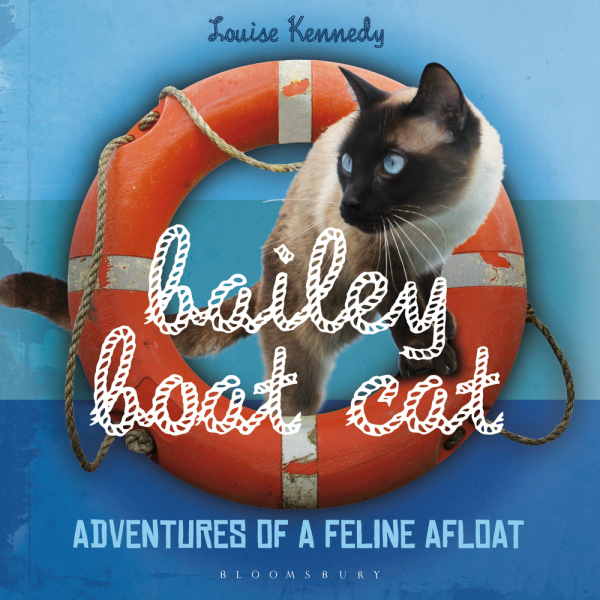 Why it’s Bailey Boat Cat who has one of the most fun and interesting cat blogs we follow. But he’s not just a pretty face – he’s also a published author and Mom and I just read his book for the THIRD time! Three times? Well that’s how good it is – you want to go back and read it over and over because it’s full of fun. From the first page to the last you learn about what it’s like to live on board a sailboat from Bailey’s perspective – and surprisingly we learn that there are a lot of cats (and dogs) who live full-time on boats like he does. Lucky them! Bailey and his humans recently started living full-time together as a family on board Nocturne, their lovely boat – you’ll see lots of great interior and exterior shots of Nocturne in the book – and get to explore all the hiding spots, cubbyholes and interesting napping places aboard Nocturne thanks to all the photos in the book. Bailey talks about safety and what’s important to have aboard in case of emergencies……….in fact you can see how Bailey handled his OWN emergency when he learned (accidentally) that he could swim! His parents cleverly crafted a rope ladder for him which probably (knowing Bailey) will be well used in the future since he loves adventure. 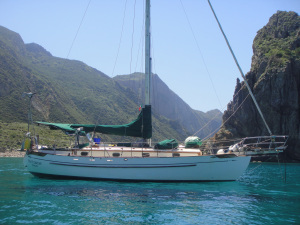 The book is wonderful for people of all ages to read and learn from – certainly anyone who has a boat or is lucky enough to live aboard a boat – particularly if they have a pet. Children will love Bailey’s adventures and hearing about his life and “rules of the water”……..the book is full of beautiful photographs, cat wisdom, fun and charm and you definitely WILL want to keep it handy for a smile or two when you need it. I had the occasion to share the book with our next door neighbors recently at a July 4th cookout. They have two little boys aged seven and nine and the whole family enjoyed the book cover to cover. I’m ever so proud to know Bailey and his parents – they are truly “living the dream” and having the life many of us would love to have……….sailing into the sunset to see the world one adventure at a time. We do hope Bailey has more books coming and wish his “Mom” Louise Kennedy much luck in all her writing endeavors in the future – she definitely has “the gift” of writing – this book will be treasured in this household always. If you’d like to pre-order the book (which will be released in hard cover September 2 in the USA), just CLICK HERE . It’s also available on Kindle. One thing is for sure – we can guarantee you will be glad you did………. Hi World! Bet you thought this was Sam’s blog right? Well, it normally is but today we’re having TWO blogs – “his” and “hers”………why? Because I’m involved in a Blog Hop thanks to my friend Dianna of These Days of Mine who invited me to participate. Dianna and I have been friends for a while – she lives in southern Virginia and we don’t get to see each other often but I feel like I’m in her world every day through her blog. She posts spectacular photos of sunsets and sunrises on the water – she lives right on the water and the views are gorgeous and different every single day. So the Blog Hop invites bloggers to answer four questions then nominate/ask three other blog friends to answer the same four questions the following Monday (a week from today). No special links or widgets to install – just answer the questions and ask three of your friends to do the same the following week. Easy? You betcha! 1.How does my creative process work? If I’d answered this question back when I was writing books my answer would be slightly different than it is as a blogger. Writing a novel for me took a bit more planning and research and attention to detail, but writing Sammy’s blog for him is totally “by the seat of my pants”……whatever comes to me at the moment I start his blog for the next day, is what I write about. I put myself in Sam’s place (which, after 14 years with him I seem to be able to do!) and whatever I imagine to be on HIS mind, is what we talk about. If you follow him you know there are three “givens” in a week of Sam’s blogs…….Tuesday is the Tuesday Teaser with photos of far away (or near) places and everyone has to guess WHERE. Then Saturday we talk about bacon – endlessly – Sam’s Saturday morning treat is bacon and the whole world knows that by now. On Sunday we take a bit of a break for a Silent Sunday where we generally post a fun photo with no “verbage” required! Anyway, my creative process works THROUGH Sam’s eyes – it’s the world through Sam and I enjoy doing that. 2. How does my work differ from others of its’ genre? We read a LOT of pet blogs and for the most part, they are written “by” the pet – from the pet’s perspective – life through their eyes. 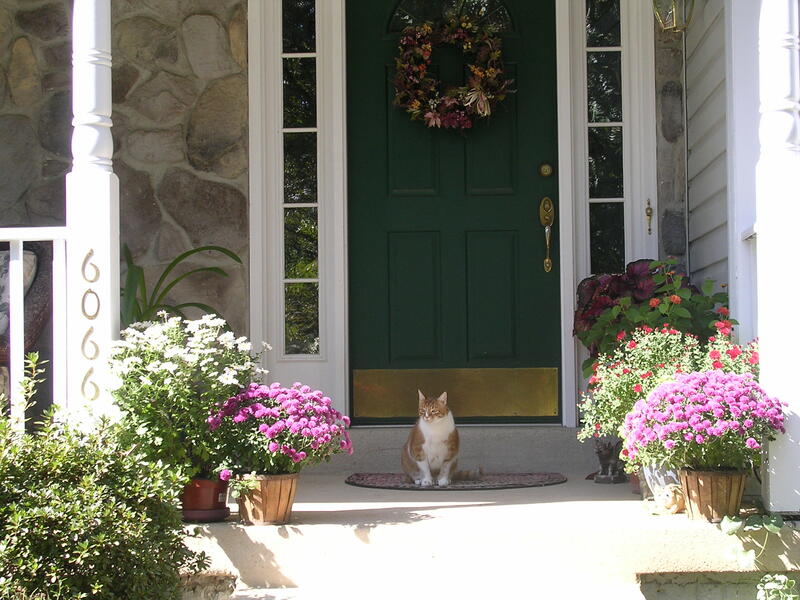 There are some that have the pet owner blogging about things the pet has done or places they’ve gone with their pet but when I started Sam’s blog, I purposely did it so it was as if HE was writing it. 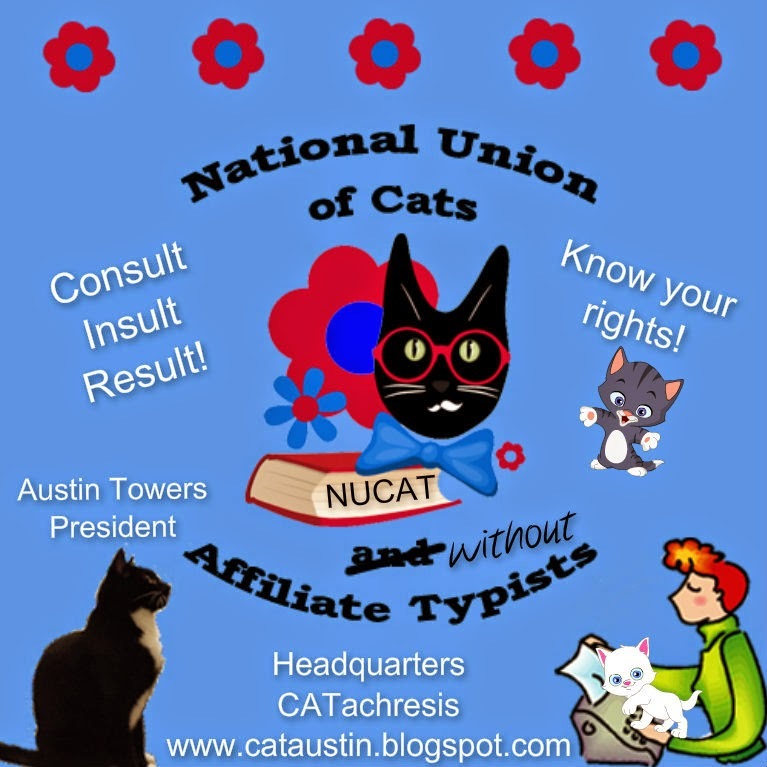 Only with time visiting other blogs did I realize that a lot of other pet bloggers did the same thing. So I’m not sure my work differs much from other pet blogs. When I wrote novels and childrens books, I know that the way I worked on those was different from most other writers I knew………..I wrote without an outline – I allowed my characters to take me where THEY wanted to go. Whatever seemed fun, logical, or interesting was where the action went……I put myself IN the story and wrote from INSIDE looking out. I thought it might appeal to a reader to have that kind of perspective – it made it fun to write too. 3. What am I working on? 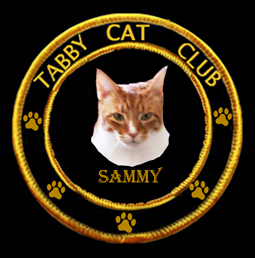 As an “every day” blogger, I am always working on something – getting ready for Tuesday Teaser or the next day’s blog or next week’s project – and Sam is now a Cat Scout and member of the Tabby Cat Club and both of those are fun organizations who do a lot of fun things. Sam’s “knee-deep” in Scouts for instance. He organizes activities for his Troop and tries to be supportive of his fellow Scouts……this takes TIME. So I’m almost always working on something “for Sam” – you might say it’s a labor of love…..because it is! I’ve thought about doing another childrens book……and have a sequel to my mystery partly finished and getting dusty on the shelf when I quit writing a few years ago……….but for now – Sam keeps me plenty busy. 4. Why do I create what I do? That’s an easy one……..and will be the shortest response of the four questions. I do what I do because I love it. Blogging is wonderful – it’s my window to the world of pet blogging and the MANY friends I have as a result. I wouldn’t trade that for anything. Now I must confess that while I extended the invitation to join in the fun and be one of my three bloggers to answer the questions next Monday on their own blog, I heard back from only two of my friends who were totally “on board” to participate NEXT Monday. Julia, who writes a totally wonderful blog about her blind cat Oscar and Sam and I enjoy “seeing” Oscar’s world through HER eyes is one of those. Their blog is Lessons With Oscar and if you aren’t familiar with it, you should be!! The other is my very creative friend Kelly whose blog Boomdeeadda is a total delight full of crafty wonderfulness. She has an eye for art, and a magical slant on everything else in her life. Since the idea is to have three friends respond and I only have two, if any of you WOULD like to answer the questions next Monday on your blog and pass it on to three of your “willing” friends – please do so!! You’ll get a separate blog from Sammy today – I know you don’t want to miss that! 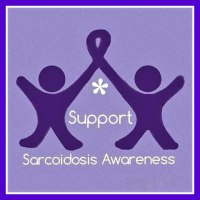 Thanks for bearing with me through this one……….I don’t normally toot my own horn but Sam was very generous and allowed me to use his WordPress blog. He’s such a good boy!! Today is my friend Henry’s birthday party. Are you going? Everyone is you know……….we’re all going to help him celebrate turning SIX today. I’m on my way now – I’ll see you there? 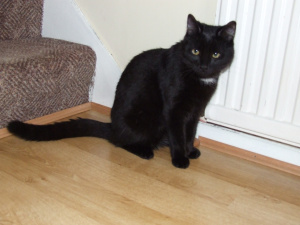 Click Here To Visit My Three Moggies and go to the PAWTY! 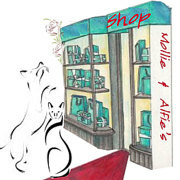 Something else that’s FUN is that our friend Mollie has put some NEW stuff in her shop – have you been there lately? 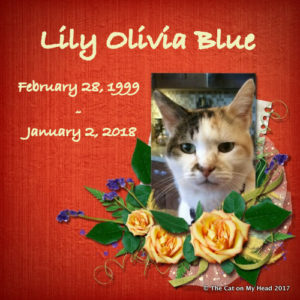 She and her Mom are always cookin’ up something new for cat, dogs and critters (including HUMAN critters) so make sure you visit the store on her blog just to keep up. No doubt there’s something that you simply CANNOT do without ! 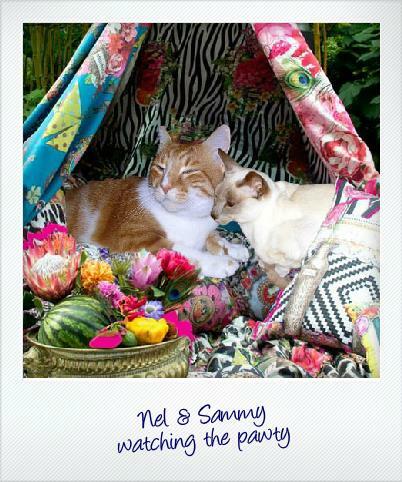 Another FUN thing is that tomorrow is my friend Odin’s birthday – PAWTIES, PAWTIES, PAWTIES……make sure and wish him a happy third birthday tomorrow and I hear he’s having some giveaways to celebrate – wowzers! And one more piece of news…….although maybe this isn’t in the FUN category – I guess my Mom would have to make THAT call – but day before yesterday she decided to start another blog. Yep – sure did. It’s going to be about writing – her writing and other people’s writing and who knows what else she’ll get up to over there but now she won’t be putting stuff on MY blog about HER writing! Here’s where she is but trust me – it’s probably going to be BOOOOOOOOOOOOORING unless you’re a writer or want to write or wish you could write – know what I mean????? I mean if you had two different blogs you could look at – which would you choose? 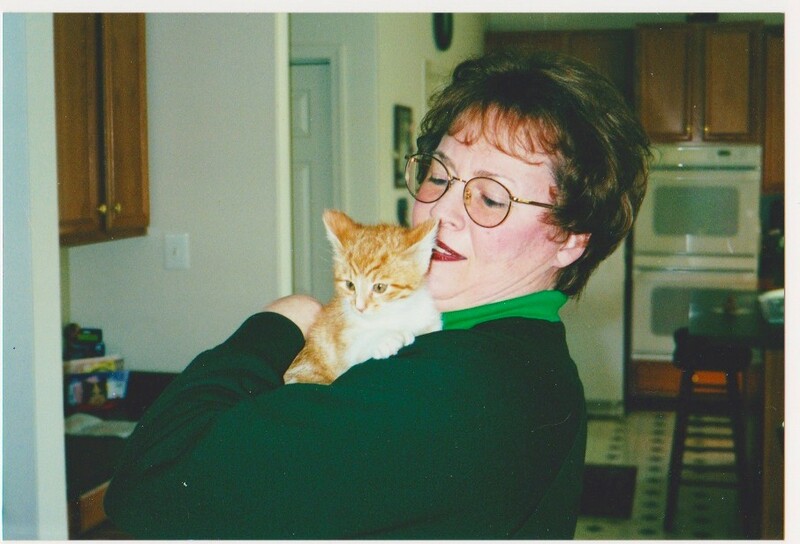 One about a fun-loving ginger kitty OR one about writing. Easy-Peasy…..ME ME ME! Just kidding Mom – I’m sure your blog will be very stimulating (tee hee)! Yesterday on Savannah’s blog I read the good news that our friend Leo who’s currently residing at Savvy’s place while her parents are fostering him, is EATING A LITTLE BIT OF KIBBLE on his own! That’s what we were all hoping for. That’s a very good sign – let’s all hope he eats more and more and soon he won’t need that feeding tube. She also told us how much money was raised by Mollie, Alfie, and their Mum’s FANTABULOUS auction and raffle and it was a LOT LOT LOT of money to help with Leo’s care. YAY! Leo would thank you if he could !! So, let’s all make this a HAPPY Friday OK? We’re in the middle of a rather HOT spell here where I live – hopefully you will have a nice day wherever in the big wide world YOU are! I’m going to be in the SHADE today! Allow me to do a little shameless promotion for my Mom. 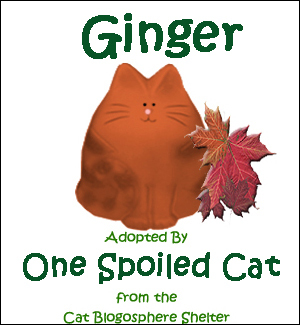 After all, Mom does tons of things for me so the very least I can do is give her new book a plug on my blog – right? 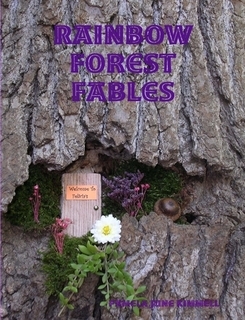 Besides, you may remember that I told you all in an older blog that I was helping Mom look for just the right tree in our woods for her to use as a photo for the cover and back of the book – – – a tree where the forest fairy who takes care of all the animals in the magical forest lives. This was the tree I (yes me) suggested and there it is – in living color! You might consider buying a copy of it if you have kids or grandkids or know someone who does….it’s a cute book but then of course I’m slightly biased in my opinion of anything my Mom does!!! She’ll eventually offer it for sale on her website I would think but for now, it can be ordered from http://lulu.com/ and you just put “RAINBOW FOREST FABLES” in the Search box!!! Cool huh? Yeah, I’m proud of her………she’s published a mystery novel and has two other novels she may eventually (hint hint Mom) finish one of these days but this little book is something VERY different for her. Plus it was a lot of fun for her to do. I’m all for my Mom having fun. After all, thanks to her I have fun every single day!